MORE PEOPLE . . . . .
First is Dave Weekes, owner of Addington Recovery. 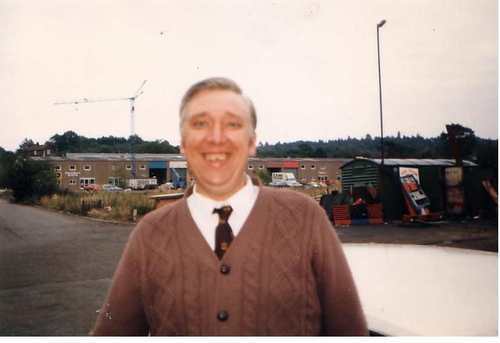 I got to know Dave well over the years mainly because he towed so many of my old bangers back to the yard. He then used to use us to help out, pulling trailers in when he recovered units, and so we helped him on his way to his first million. Dave was thrown out of home whilst still a teenager, and lived rough, from there he could only go up, and did he go up! With the recovery business augmented by Guardian Recovery, building wreckers, he made it to millionaire status, when it all went wrong and he lost the lot. Most would have given up. but not Dave. He started from scratch, and did it all over again, and retired a millionaire again. 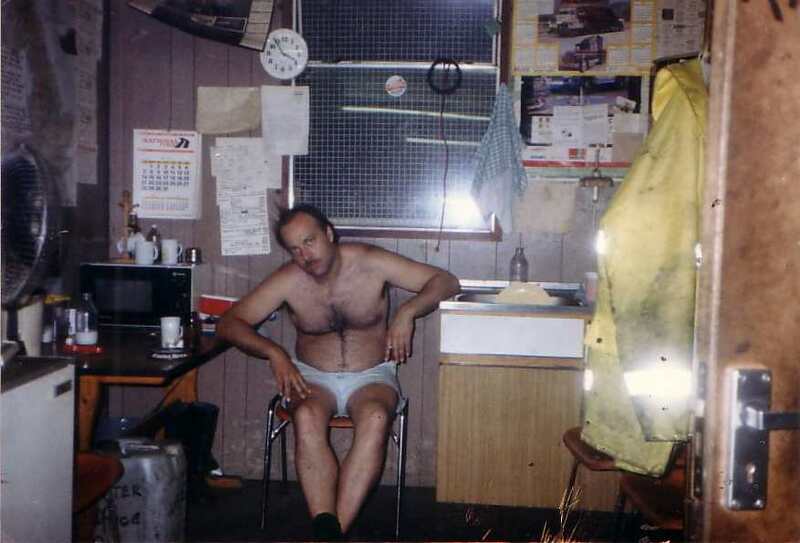 The key to success like Dave's is an endless capacity for hard work, during the big freeze in '87 Dave and his boys were busy day and night as cars and trucks broke down all over Kent in the artic cold. Dave was eventually "arrested" one night by our local traffic boys, who literally feared for his life if he didn't give in to the weather, so they escorted him hometo Wendy and the warmth. Andy Lambeth, on the right, was the manager of the Sheerness operation for EW Taylor & Co (Fwdng), a very old time London shipping company. Andy was a real live wire, and we built an unaccompanied trailer operation to Vlissingen with Dutch operator Nilsson BV. Although the purse strings were tight, we had a most successful partnership for some 12 tears, one of the more long lasting relationships between hauliers and agents in Sheerness. 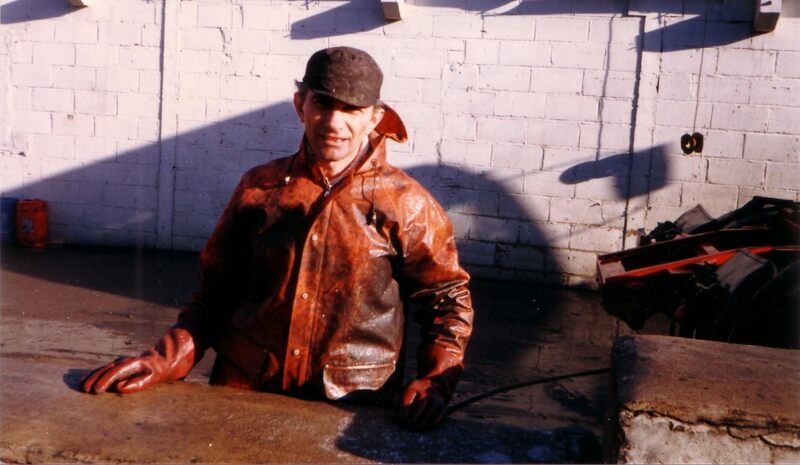 We were eventually running some 30 trailers on the operation, with us doing all the maintenance at Platt & Paddock Wood. Here we have just taken delivery of another F10, liveried in EWT's colours. There is a picture of Tony Keirle on the Astran page, and quite rightly. But he was also very important to us, and taught me most of what I know about Scanias, all those little tricks and wrinkles that get the best out of trucks. After Astran's haulage operation was finished, Tony became a mobile fitter, largely with Newton Transport, but the reason we drifted apart had nothing to do with us: my Susie, my "junkyard dog" alsation, for some unknown reason absolutely hated Tony, and it literally became dangerous for him to visit. Tony and I always had an odd bond, and it was only years later that we discovered that we had been born within minutes of each other: Spooky, or what. Almost had me believing in astrology. I was waiting at Chatham Docks one day, in a queue of trucks waiting to load, when this dejected fellow with a handful of flyers trudged up. He was trying to start a steamcleaning business, and hadn't had a tickle in days. Something about him clicked, he was an ex-trucker after all, so I gave him the job of our 6 trucks on the spot, starting that weekend. Billy did a good job, and we recommended him to Tony at Astran, and the rest is history, Lenwood Services was on its way. 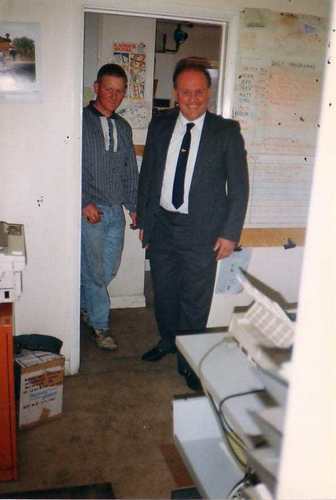 Some years later, when Astran moved out of our warehouse and into their own on Platt Industrial Estate, they needed someone who would run their warehouse operation as a contractor: Billy took the job. When MTH shut down in 1997, Billy took over some of the storage, and Dave began working for him, until Billy retired, when he sold out to Dave and my Jackie. Astran sold out to Seymour Transport a couple of years ago, and Dave now works for them as a warehouseman. Ted Byrne has been a close friend since the old illegal AM CB days, and used the Platt yard as a base running to Italy and Spain with this "souped up" TransCon. It's a long long romantic story, but on one trip through France he met a former sweetheart from student days, they took up again, and were married and moved to Chris's home in the States. 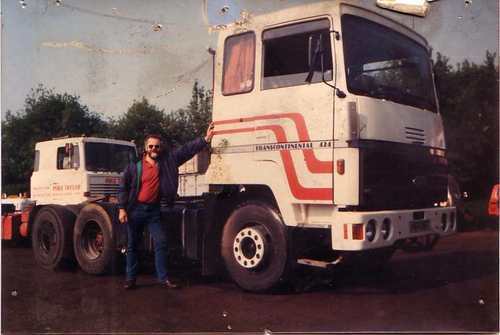 After a few years they came back to the UK, and bought another truck, a DAF, and started running as a team to Europe. They did a lot of work for old friends of ours Helmut and Anita Haid from Graz, Austria. They finally retired, but we are still close friends. 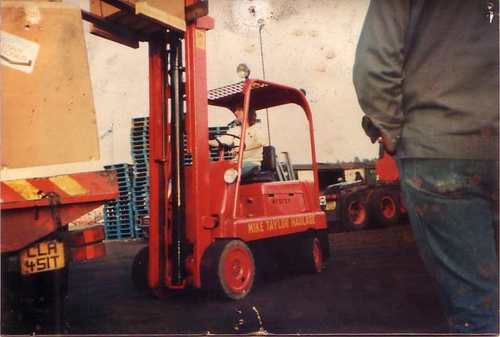 My Jackie has always been a dab hand at a forklift: here loading Big Bob's Coca Cola flat 16 tonner. 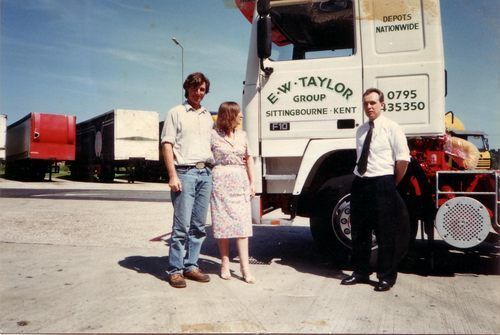 It is very true that haulage will make or break a marriage, and we have just celebrated our 40th Anniversary. This is Jim Sebesta, one of the most devious blokes in Haulage, but a good friend: can't tell you any stories about him, statute of limitations and all that. Last heard of living in Austria.